Gibbs Farm is a private sculpture and exotic animal park on the Kaipara Harbour, internationally famous and a viewing experience quite unlike any other. Created by entrepeneur Alan Gibbs, the farm features over 25 large-scale artworks by renown sculptors from around the world. It also features free roaming flocks of Emu, a Giraffe enclosure, Alpaca and other exotic animals. 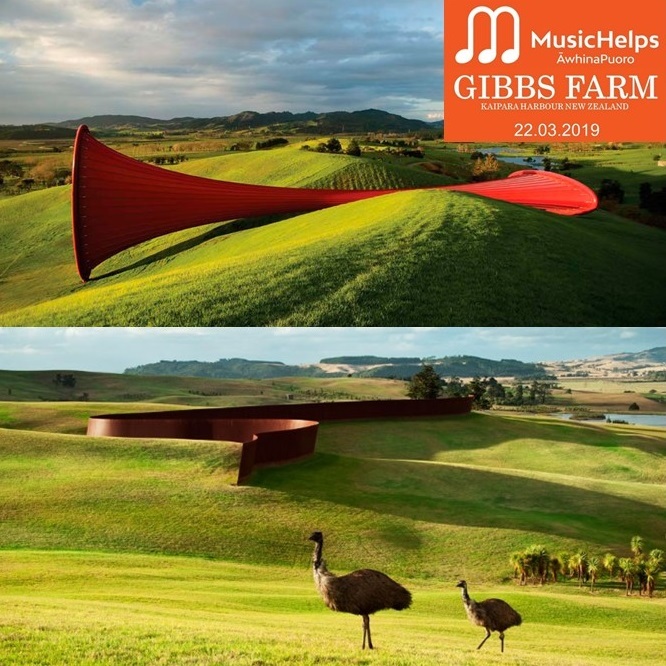 On Friday 22 March 2019, Gibbs Farm is being opened to supporters of MusicHelps in a very special fundraising day. Opportunities for the public to view the collection and the farm are strictly limited. MusicHelps is very proud to be able to bring this opportunity for supporters to view this internationally important and significant collection while taking in the dramatic Kaipara Harbour and its shores. 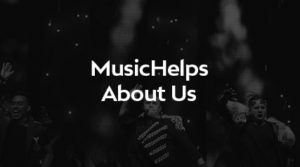 Funds raised from the open day will help us to use the power of music to help and heal people in need around New Zealand. 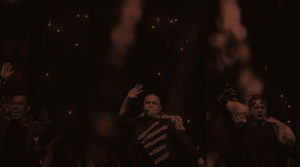 THIS EVENT HAS CONCLUDED. PLEASE EMAIL US IF YOU WOULD LIKE TO BE KEPT INFORMED OF OUR NEXT GIBBS FARM OPEN DAY.